Sixty percent of companies currently have open positions that go unfilled for a long period of time because they cannot find the right people with the necessary skills to successfully perform the role. 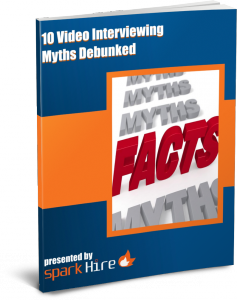 Traditional recruiting and hiring methods sometimes hinder more than help, therefore, companies should consider readily available technologies like video interviewing which has evolved tremendously in just a few short years. The whitepaper details several misconceptions that have been formed due to the wariness of companies in adopting the solutions at their business. One being that video interviews are only used to weed out bad candidates. Video interviews do have the potential to reveal a person’s flaws which allows you to filter through candidates quickly, but this technology can also spotlight a person’s strengths. Moreover, video interviews may have initially been used primarily to reach top talent without geographical limits, but this tech solution enables you to also save time and effort when connecting with talent in your company’s own backyard. Just because a candidate lives only a few minutes away from your office doesn’t mean they have to come in for an in-person interview, especially when you don’t know much about him or her. You can utilize the one-way interview for pre-screening purposes to avoid potentially uncomfortable hour-long interviews with candidates who you can tell are not the right fit in just the first few minutes of speaking with them. Additionally, the whitepaper identifies the ways video interviewing platforms and services greatly differ from Skype. A major difference is the ability to record live interviews and share them with colleagues for better collaboration on hiring decisions. Skype also doesn’t offer anything like the one-way video interview which allows hiring professionals to screen candidates 10 times faster than they would with phone interviews. By utilizing video interviews, companies can also personally connect with a candidate so they can better assess his or her personality and skills. Video interviewing can reveal a person’s ability to think quickly, their passion and outlook, and if they have a team-player attitude, which can help you determine their company culture fit and how well they can perform the job requirements. 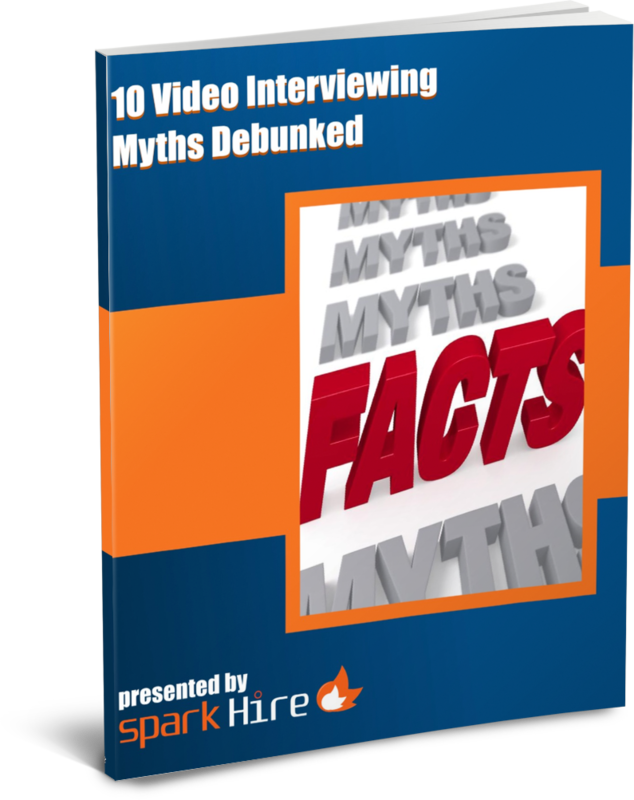 Download the new whitepaper from Spark Hire, “10 Video Interviewing Myths Debunked”, for a better understanding of video interviewing technology and its many benefits!